For Women’s Month in August, The Playhouse Company will present its famed South African Women’s Arts Festival (SAWAF). Marking the Company’s 21st Festival, the event is themed “Phenomenal Woman” to commemorate South African women in all aspects of life – in the arts and on live on stage; in the communities and in the workplace. The not to be missed two-week festival – which runs from August 10 to 19 - features a host of award-winning dramas, like the Naledi Award winning productions Suddenly The Storm and Scorched. Also on the programme are La Bohème (semi-staged excerpts) and Handbag - Don’t clutch me too tight… a brand-new dance work presented by The Playhouse Company under the helm of acclaimed choreographer David Gouldie. Under the theme “Phenomenal Woman” a range of free dialogues and workshops will be held in honour of South Africa’s women and their unique contributions to communities. Free live music sets –featuring the likes of Platform Jazz, Natalie Rungan, Heels Over Head, Luh Dlamini and more are also on the programme. “Our South African Women’s Arts Festival has grown tremendously over the years and as we commemorate our 21st year – traditionally a year synonymous with entering maturity – we’re happy to be offering a programme which aims to address the gravitas of women’s issues. We will do this through a range of dialogues and offerings on our arts programme which speak to various issues relevant to women today. We also are celebrating women of South Africa through an artistic programme which offers an eclectic mix of award-winning drama, dance, music and more!” says Playhouse CEO and Artistic Director, Linda Bukhosini. Paul Slabolepszy’s latest play, walked off with Best New South African Script (Paul Slabolepszy), Best Theatre Set Design (Durban’s Greg King) and Best Lighting Design (Wesley France) awards this year’s Naledi Theatre Awards. 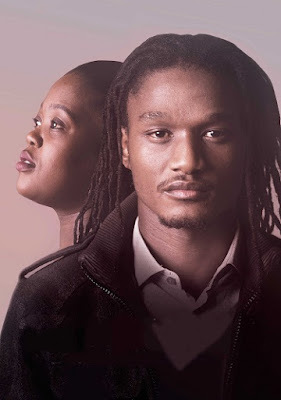 Following its unprecedented success at the Market Theatre and the Theatre on the Square, this riveting drama ran at the Baxter Theatre in Cape Town in July. The Playhouse Company presents Suddenly the Storm as part of its SA Women’s Arts Festival. Suddenly the Storm premièred at the Market Theatre in 2016, launched to coincide with the 40th anniversary of the Soweto Uprising of 1976. The play is set in the far East Rand, in the home of an ageing ex-cop and his much younger wife. A storm approaches … Namhla Gumede, born on June 16, 1976 arrives, seeking answers to questions that have remained buried for 40 long years. What begins as a smouldering dark comedy turns suddenly into a roller-coaster ride of startling revelations, of rage and recrimination, before the storm finally breaks. Starring Paul Slabolepszy, Charmaine Weir-Smith (Isidingo, Binnelanders, Generations) and Renate Stuurman (Isidingo, Scandal! ), and directed by Bobby Heaney. Suddenly the Storm will be staged in The Loft Theatre on August 10 and 11 at 19h30, and on August 12 at 14h00 and 19h30. Tickets R80 booked via Computicket or Shoprite Checkers at each. There is an age restriction of 18 (strong language). Featuring the award-winning Playhouse Dance Residency and Flatfoot Dance Company, the production is based on the real-life tales of the ladies who live at The Association For The Aged (TAFTA). The work is based around interviews and moments of the elderly ladies. Moments of joy, loss and remembrance will be explored and celebrated with the dancers using these stories and emotions for the basis of this dance work. A first kiss, marriage, loss, forgiveness… The work will follow the linear narratives of these intimate stories to ultimately speak to overall global issues. The dance work will pay tribute to these incredible women and their stories, and provides a creative space for enlightenment around issues affecting the elderly and their life experience. Handbag - Don’t clutch me to tight… has performances in the Drama Theatre on August 10 at 09h30, August 11 at 09h30 and19h00; and August 12 at 14h00. Tickets R80 booked via Computicket. Schools performances at R30 per learner can be booked by calling 031 369 9407. Our Story Magic is popular children’s work written by acclaimed author/poet/storyteller Gcina Mhlophe and has now been adapted for stage by The Playhouse Actors Studio! This collection offers an opportunity to explore folklore stories through a theatre piece suitable for the whole family. The stories in the book are: Sun and the Moon, Brave Ox Bathom, Queen Of The Tortoise, Tie Me Up!, Moonlight Magic, Dad is Eating Ashes, Mamba kaMaqhuba, The Signing Dog, Jojela’s Wooden Spoon and Sunset Colours. Presented in English, isiZulu, seTswana, Our Story Magic offers children the opportunity to experience the power of imagination and live theatre beyond the cellphone, TV, and – dare we say it – the fidget spinner! More importantly it shows children the value of our original and authentic cultures through tales based on our own communities. The production will stage for schools on 19 August at 10h30 and 14h30. Tickets R30 via Computicket. Bowers is the 2016 Standard Bank Young Artist for Theatre. Scorched premiered on the main programme at the 2016 National Arts Festival in Grahamstown to high critical acclaim, and went on to a season at UJ Arts Centre in Johannesburg. KZN audiences will have the opportunity to experience this acclaimed production from August 16 to 19 in the Playhouse Drama Theatre. Scorched is an epic yet intimate family drama by acclaimed Lebanese-Canadian playwright Wajdi Mouawad. The play follows twins Janine and Simon Marwan on a riveting journey to the heart of their mother's war-torn Middle-Eastern homeland in pursuit of their tangled roots and a long-lost sibling. In this land, where civil war, massacre and revenge constitute a way of life, the twins uncover shocking secrets about their mother's history, about themselves and their origins. The production is directed by Jade Bowers. The all-star cast features Cherae Halley, Jaques De Silva Mpho Osei-Tutu, Bronwyn van Graan, Ameera Patel, Gopala Davies and Ilse Klink. Schools’ performances are on at 10h00 on August 16, 17 and 18. Schools performances, at R30 per learner, can be booked by calling 031 369 9407. La Bohème is an opera in four acts composed by Giacomo Puccini to an Italian libretto by Luigi Illica and Giuseppe Giacosa, based on Scènes de la vie de bohème by Henri Murger. The world premiere performance of La Bohème was in Turin on February 1, 1896 at the Teatro Regio. Since then, La Bohème has become part of the standard Italian opera repertory and is one of the most frequently performed operas worldwide. The Playhouse Company presents semi-staged excerpts of this renowned opera featuring the KZN Philharmonic Orchestra and Clermont Choir, under the helm of Director Marcus Desando. Featuring soloists Khayakazi Madlala, Phenye Modiane and Siphokazi Maphumulo. La Bohème stages on August 10 at 19h30 and August 12 at 15h00. Tickets from R100 to R150 at Computicket. Key dialogue sessions have been planned during the course of the festival which will see women from across age and cultural groups come together to engage and share their stories. One such dialogue will focus on younger women who are forging paths in their communities and who act as role models to their peers. Another, more health-focused discussion will see the audience interact with leading female health practitioners on matters of holistic health of the mind and body. Sundowners Concerts featuring phenomenal South African artists, including some of KZN’s finest female musos who are making strides in the industry. Platform Jazz, Ndu Shezi, Heels Over Head, Natalie Rungan, Luh Dlamini and more are just a few of the acts who’ll be setting the stage on fire! Platform Jazz performs on 10 August at 18h00, Ndu Shezi & Heels Over Head perform on August 11 at 17h00; Dawn King performs on 12 August at 15h30; Dani Foster Trio performs on August 12 at 18h15. The following week catch Natalie Rungan on August 18 at 17h00 and Luh Dlamini and Joel Zuma on August 19 at 17h00.